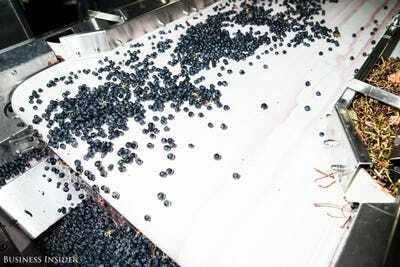 Sarah JacobsCabernet Sauvignon grapes being de-leafed. 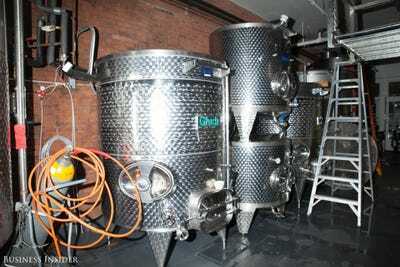 At Manhattan’s City Winery, located in the heart of Tribeca, over 300 barrels of wine are ageing to perfection. 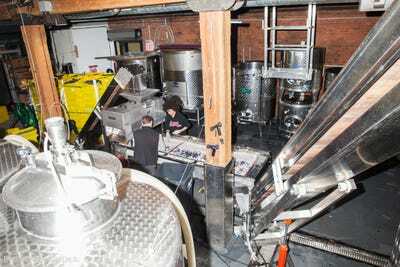 The fully functioning winery, which produces over 6,200 cases of wine a year, is also a music venue and resturant — creating a unique culinary experience for attendees. 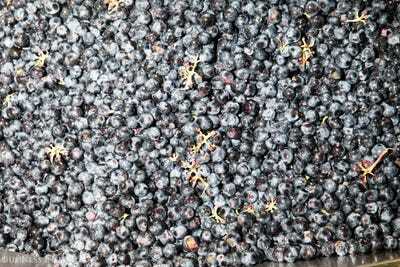 The Pinot grapes came in from Durant vineyard in Willamette Valley, Oregon -- and the Roussanne is from Alder Spring vineyard, located in Mendocino, California. 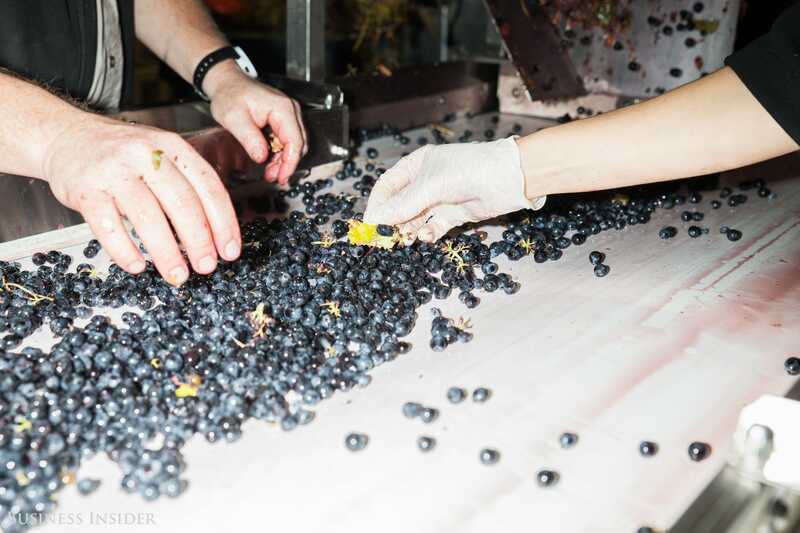 First, large leaves and loose stems are picked out by hand from the grape bunches -- then, the grapes are placed on a conveyor belt. 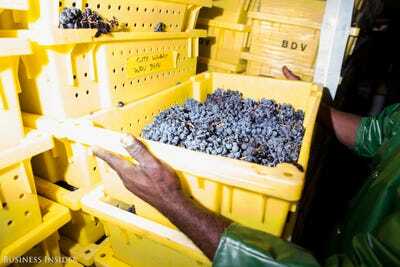 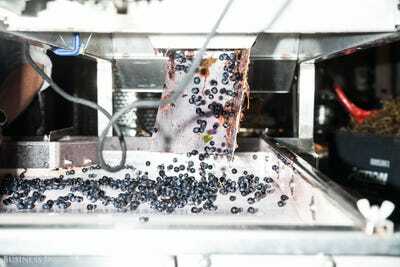 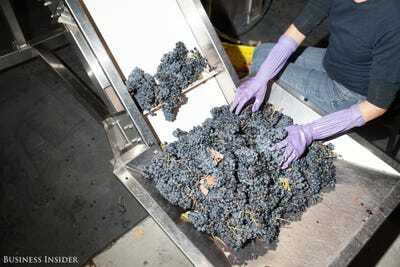 From there, the de-stemming machine processes the grapes -- essentially picking them off the vine, and spitting them out onto another conveyor belt. 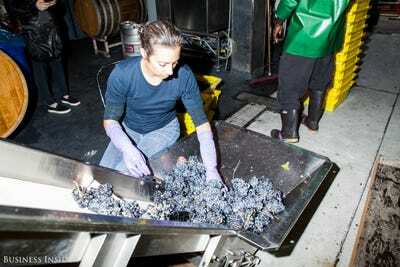 The grapes are then carried up to one of the 18 tanks City Winery has on site to begin the maceration and fermentation process -- where the grapes soak in a regulated temperature. 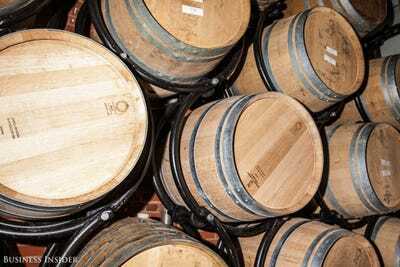 Once fermented, the wine is transfered to one of the 300 barrels on location to begin the ageing process. 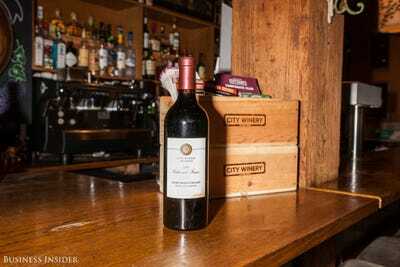 When asked about his favourite City Winery wine, Lecomte couldn't choose just one. 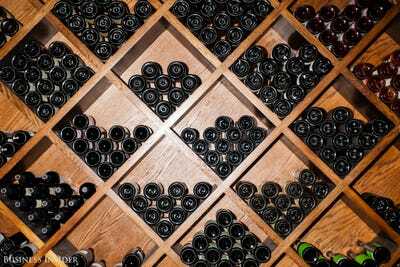 'One is not enough,' he said. 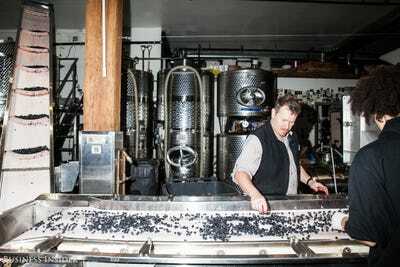 However he listed the 2012 Syrah, from the Alder Spring vineyard in Mendocino, and the 2014 Pinot Noir, from the Hyland vineyard, in Willamette Valley, Oregon as a few of his personal favourites. 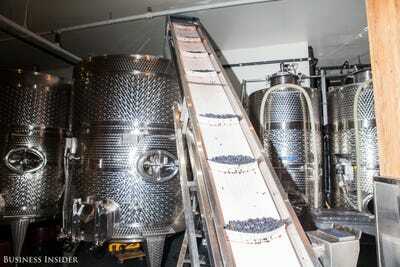 Bottling and labelling are also done on the premises -- and tap wines are served on site straight from the barrel head. 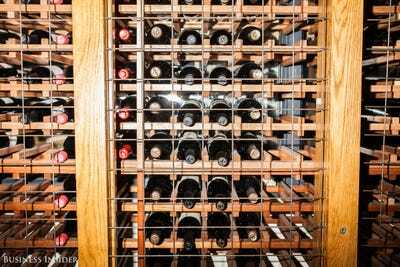 Bottled wine can also be ordered, or bought to go -- and their most expensive wine currently available is the 2008 Vintage, magnum of Napa Cabernet Sauvignon, priced at $98.